More of Belgrade. 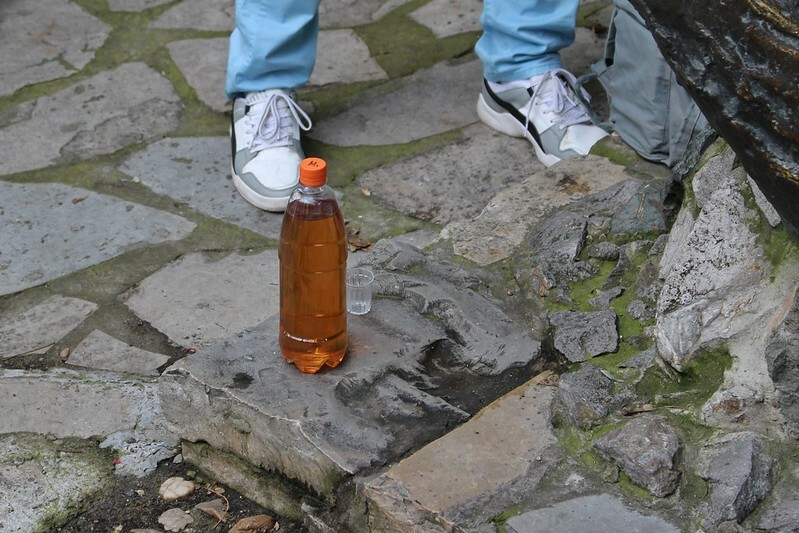 History, rakija, plenty of meat, blocked streets, and the miracle man Tesla. 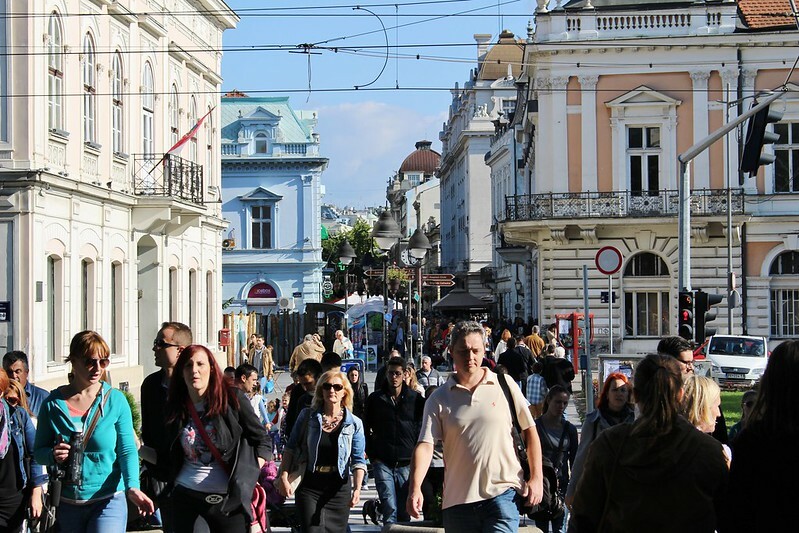 Plus a day trip to the pretty, welcoming Novi Sad and a looong bus trip to Skopje, where we settled down for the next couple of weeks. Welcome to our weekly recap! This one's for September 26th - October 2nd, which is week 39, 2014. Memorable moment: The small, but very interesting, Tesla museum was one of our highlights in Belgrade. There was a guided tour and the guide showed many of Tesla's models (some of them original!) in action. 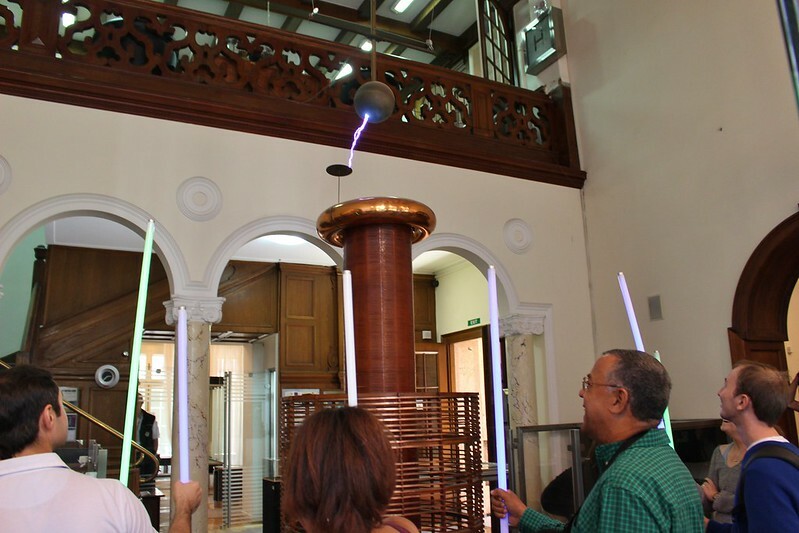 The most memorable was the 3 meter high Tesla coil, which transfers electricity through air. Volunteers were holding fluorescent sticks near the coil, and when turned on there was some lightning at top and the sticks turned aglow! I wasn't fast enough to volunteer, but I could feel the electricity in the air nevertheless. 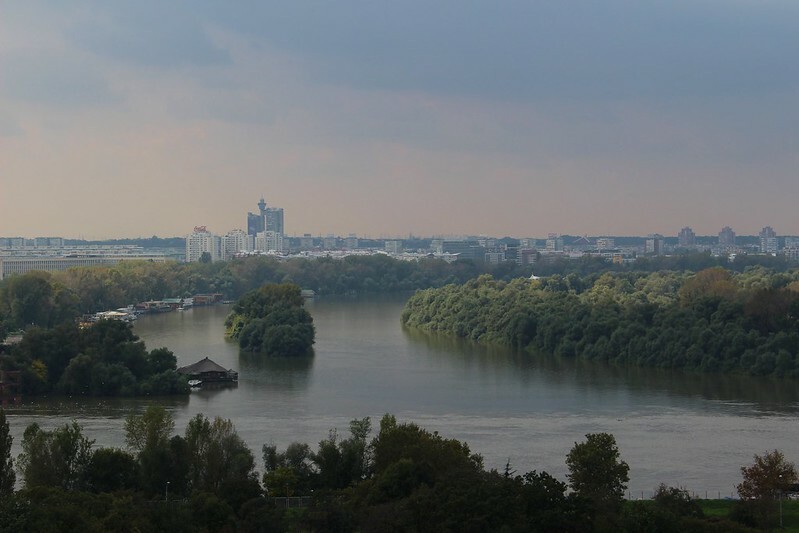 Tip of the week: The second biggest city in Serbia, Novi Sad, makes a nice day trip from Belgrade. You can get there in 1,5 hours either by bus or train (busses go every 30 minutes or so, about 12€ for round-trip). 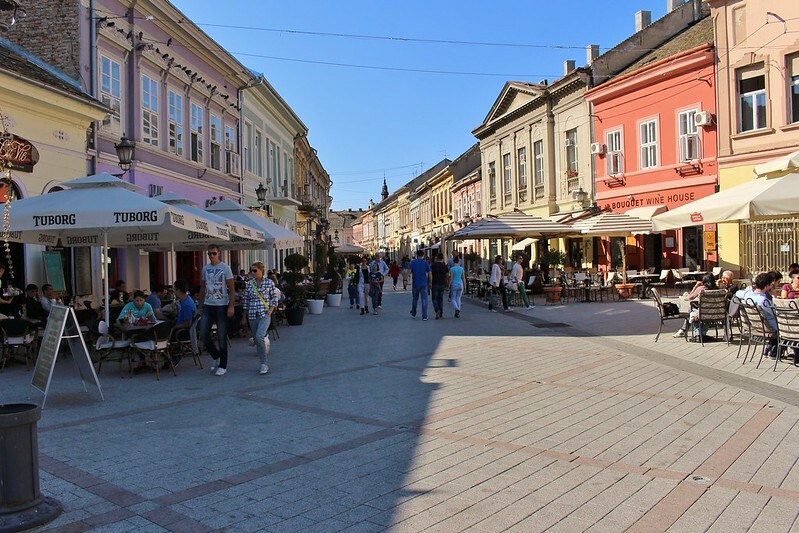 Novi Sad's center has many wide walking streets, lined with cáfes in pretty restored buildings and narrow alleys with restaurants. The old town hall and couple of churches are also worth seeing. After stopping for some ice-cream, you should walk through the park and cross the Danube over the bridge to the other side. There you can climb up to the Petrovaradin fortress for some history and great views over the city and the river. Nowadays you can also visit some tunnels under the fortress, which would have been interesting had I done my research and known about them. 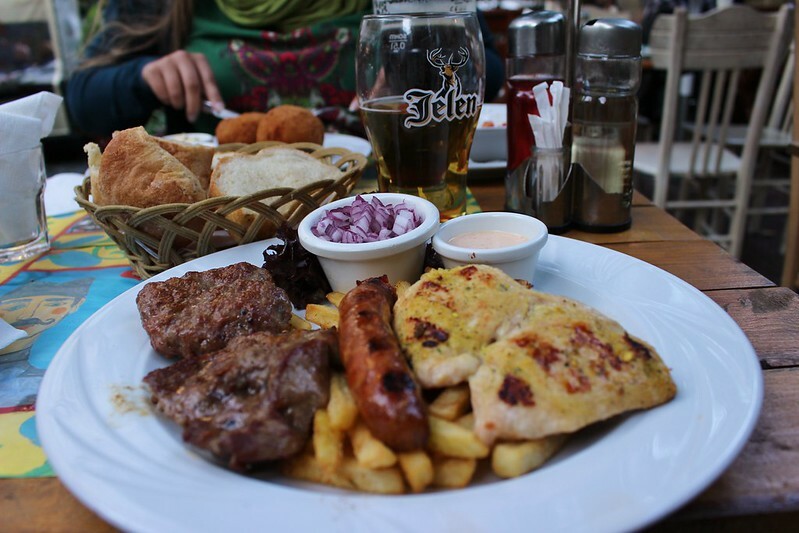 Food love: The Balkans are all about meat, meat, and some more meat. Zizzling from the grill, and piled onto your plate. All washed down with some good beer, and finished with a shot of the local spirit, Rakija. Best served home-made and from a plastic bottle. Random thought: Sometimes things happen just a bit too late. We had been postponing a shopping trip for some time now (we really needed to replace some clothes etc.) and finally decided to do it. And then, I put on my (only) trousers to get going... and they ripped badly. Luckily ripped jeans seem to be in fashion here, so I still managed the trip to the mall with them on. And found 2 new pairs of trousers. Happy! Next time, maybe not postponing for so long. 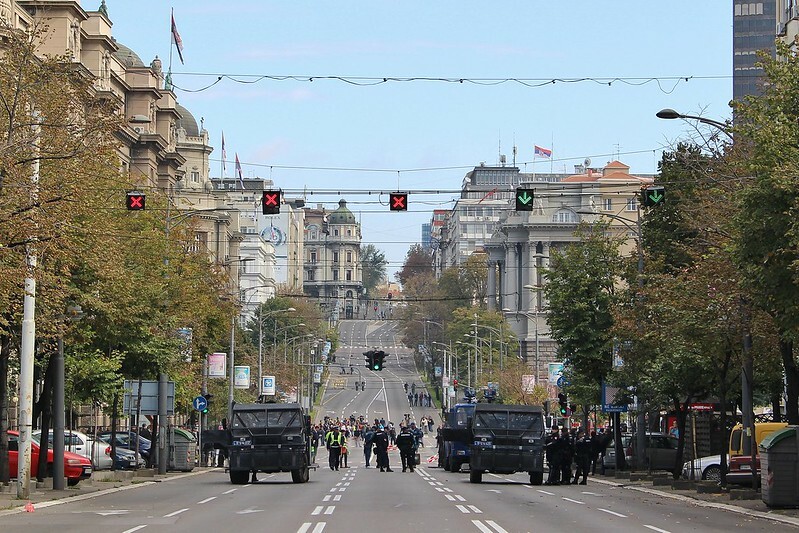 Surprise of the week: On Sunday morning we meant to get a tram to the bus station, but we found the streets almost deserted, with police and army barricades. I first thought the 3rd World War had started (did you know the first bombings in WW1 happened in Belgrade? ), but from Twitter we found out that it was all about the Gay Pride. In 2010 parade there was a big anti-gay riot and over 140 people got injured. This was the first Pride since that, and even with hundreds of participants, there were more police/army than people marching. This time it all turned out peaceful, so maybe that's a sign of a better future? 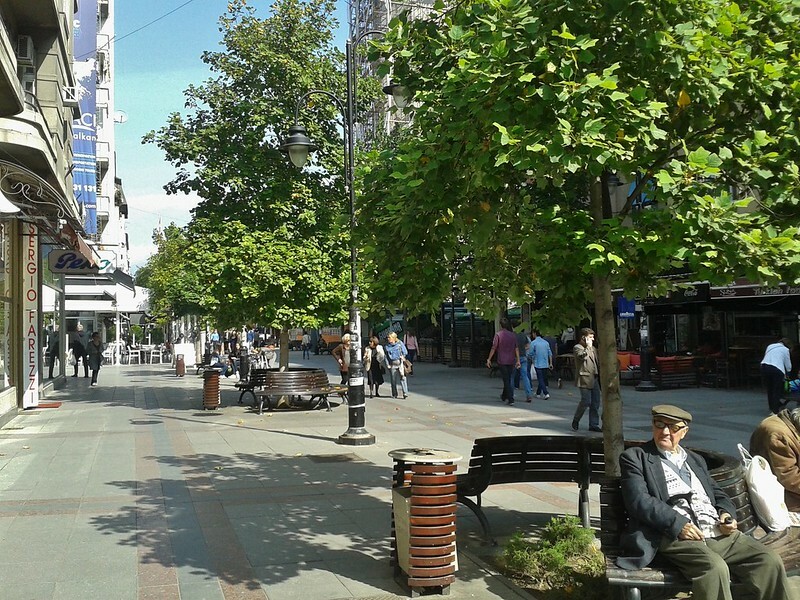 What I've learned: There's construction and renovation going everywhere in the Skopje center. Big part of this is because of the controversial (many doubt if it is the best way to spend government money) Skopje 2014 project. It aims to both renovate important buldings damaged in the 1963 earthquake (which destroyed about 80% of the city) and to build new monuments. Workwise: Nothing that special this week. Antti is booked (client-wise) until February, and I'm looking forward to the TBEX in Athens (already signed up for several tours). And we both can't wait to be in Turkey for the Coworking Camp, it's starting to look good! (Still few places left, hint-hint).